Are you integrating industrial automation? Pleased to read the article in this months Manufacturer regarding UK manufacturers adoption of automation within their manufacturing process. I have recently been asked to recruit an MD for a new £40m building product plant in the UK. Having walked around the site, I was amazed with how much of this investment had been put aside for advanced robotics, thus cutting cost out of production. I read a recent article by the COO (as I recall) of German outfit Siemens highlighting the need for UK firms to adopt this technology, along with IoT's. Great, therefore, to read this article. With the weakening of the pound over recent months, I for one am buoyed to understand that we are open to such advancements, thus keeping the price of production competitive with other countries. 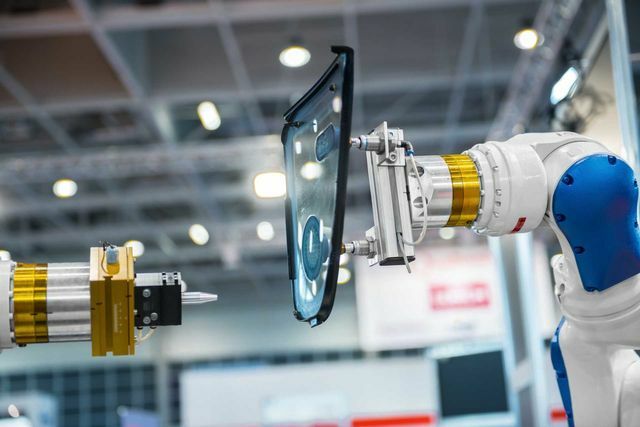 South Korea, Germany and Singapore are the world's top-ranked economies in their preparations for smoothly integrating intelligent automation; the UK is ranked eighth, according to a new report. The UK is among the world’s top-ranked economies in their preparations for integrating automation – image courtesy of Depositphotos. Even the best-prepared countries must develop more effective education policies and training programs well as place a new emphasis on continual learning over the course of a career, a report by ABB and The Economist Intelligence Unit finds.